Bedfordshire's Green Gateway at Kempston Picnic SiteBedfordshire's Green Gateway is a major initiative by the Forest of Marston Vale to create a swathe of woodland and green space between the expanding communities of Wootton and Kempston. Linked by public footpaths are the three new woodlands of Buttons Ramsey, Ridgeway Wood and Van Diemen's Land. Bedfordshire's Green Gateway is a major initiative by the Forest of Marston Vale to create a swathe of woodland and green space between the expanding communities of Wootton and Kempston. 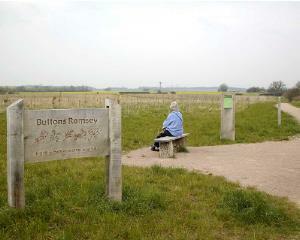 Linked by public footpaths are the three new woodlands of Buttons Ramsey, Ridgeway Wood and Van Diemen's Land. How to get there by car/Parking: The three woodlands lie to the west of Bedford and can be accessed from Kempston or Wootton. From the west end of Kempston High Street, take Ridge Road then Wood End Lane. From the village of Wootton, go north on Wootton Road and then turn left onto Wood End Lane.